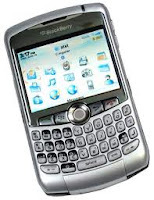 The company behind blackberry smartphones has warned it will make a loss in its first quarter and make "significant" job cuts.According to a BBC report, it has lost ground as its traditional business clients have switched to iPhone or Android phones.See how to care for iphones. "The ongoing competitive environments is impacting our business in the form of lower volumes and highly pricing dynamics in the market place,and likely results in an operating loss for the quarter," chief executive Thorsen Heins said.There will be significant reductions in spending and headcount in some areas throughout the remainder of the fiscal year, he added. Androids operating system.It has struggled to gain a foothold in the tablets markets.See new etisalat data plans for smartphones. The launch of blackberry10, expected later this year are expected to be crucial to its turnaround plan.Apple is really riding the wave of smartphone revolution and it might be too difficult for RIM to survive this fortunes. This loss may likely force Blackberry to cut jobs and reduces their employees and lots more but lets wait and see how this change works for the reviving Blackberry.